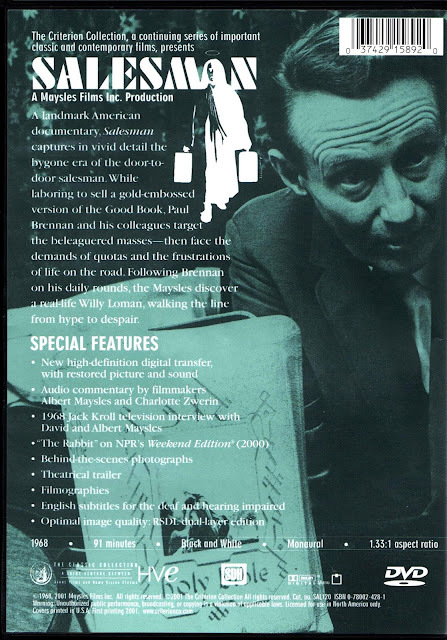 Albert Maysles, David Maysles, Charlotte Zwerin: Salesman (1968, 1969). The Maysles Brothers had previous experience at being door-to-door salesmen. They understood the lifestyle, and the stakes. Criterion Collection DVD. 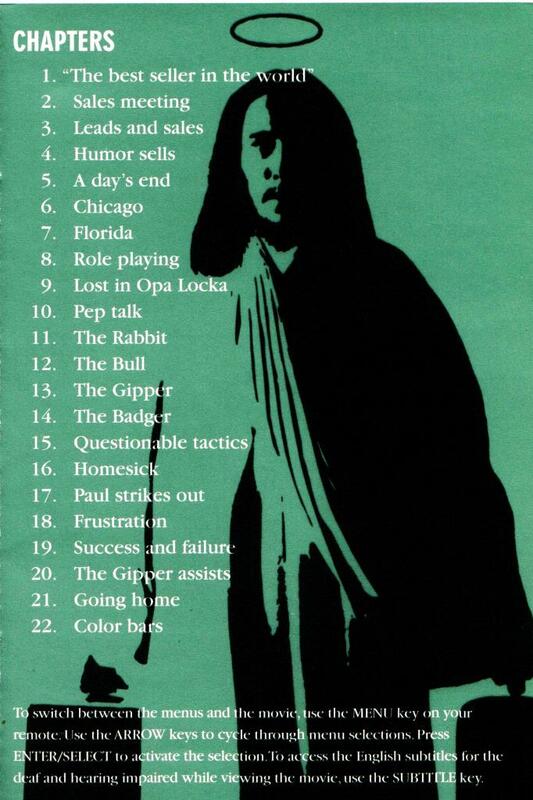 Chapter listing, including "Lost in Opa Locka," Florida. Much of the film spotlights Paul "The Badger" Brennan, who is in decline as a salesman from better years. "An orchestral version of 'This Land Is Your Land' is heard on Brennan's radio as he drives through the snow to a series of appointments with clients who are not home. The irony could not be clearer . . ." ~ Joe McElhaney's Albert Maysles. Contemporary Film Directors series. University of Illinois Press, 2009, page 46. I've often thought this had to be the hardest way ever to make a living. My wife just watched this one-- we subscribed to Fandor after dumping cable. She said it was fascinating and depressing. My son worked 2 summers selling home security systems door to door. He had to work in Chicago neighborhoods bad enough to maybe need the systems, but not bad enough were a young Asian/White mixed guy would be mugged. I was glad when he found another summer job. For his part, I think that his current summer job, calling people on the telephone to develop leads for insurance sales is a cakewalk. Meant also to comment-- what a contrast to their best-known documentary, "Gimme Shelter!"